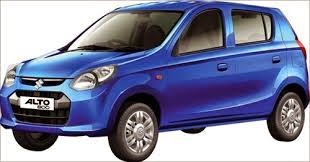 Today i,am call to AMW to check the new price of new ALTO 800CC car. 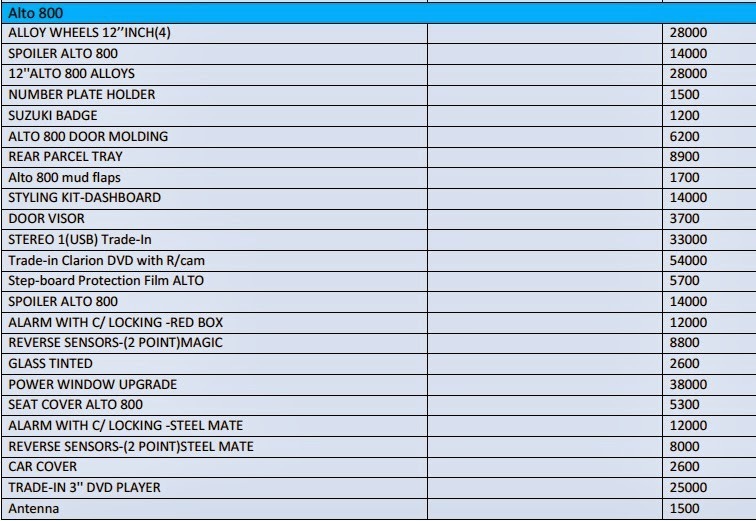 Before budget its value is Rs 149500.00 and now its reduced and new price is Rs 146500.00 in the market. New ALTO 800cc price you can check here. No: 185, Union Place, Colombo 2, Sri Lanka. Is there any price changes on upcoming 2016 budget ? 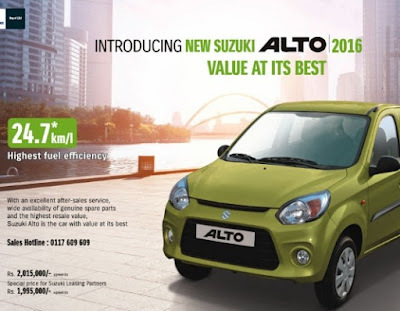 What is the new alto 800cc price after budget 2016??? 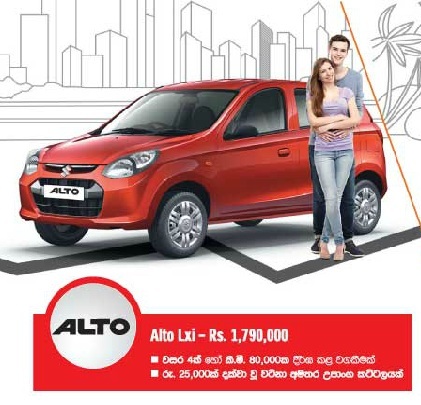 Alto 800 2016 brand new price? 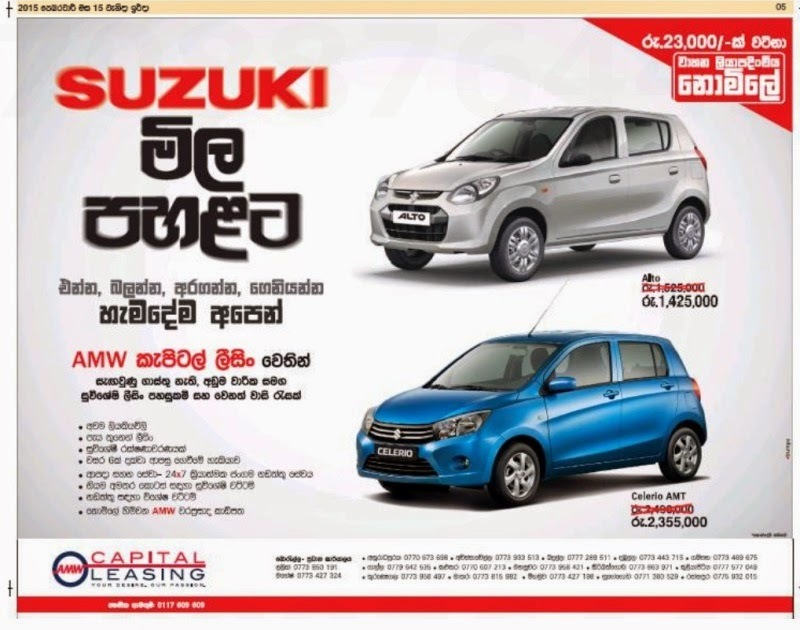 alto ekakata maseta lease eka keeyada? is there any price change from 2nd of may 2016? Mr. Dilshan, where did you get the information? From which showroom? Thanks. 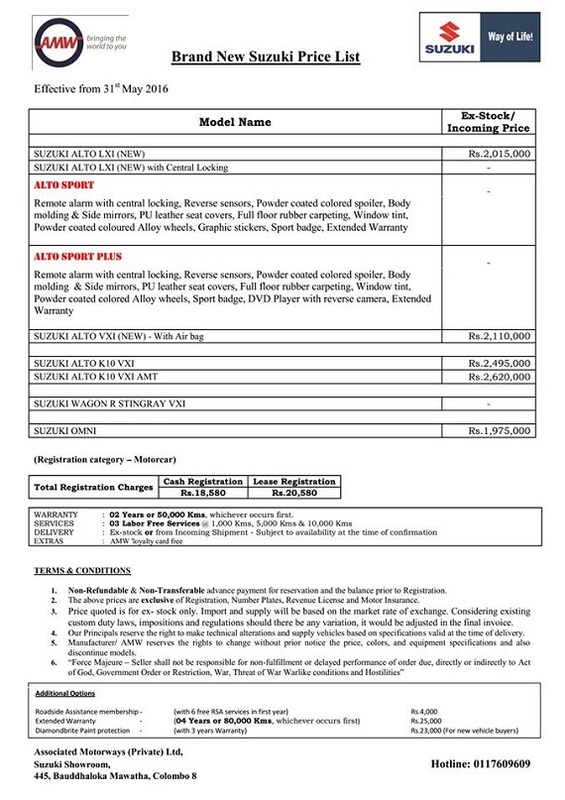 I already paid advance for rs 50,000 on 25th may 2016.this changes will affect my reserved alto 800 price? Thank you very much for confirming. 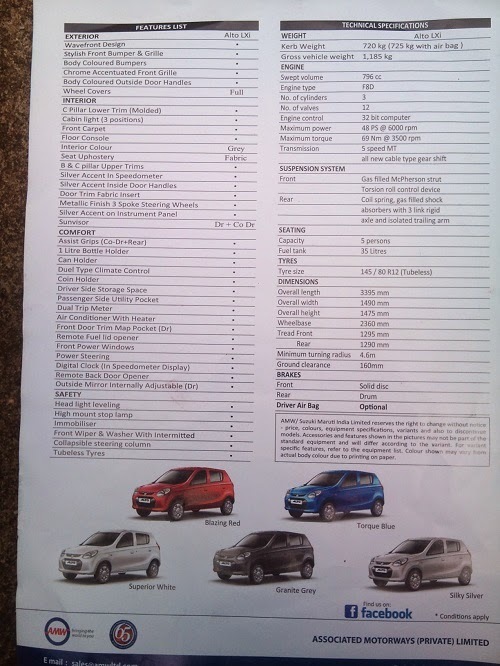 Alto 800 price keyeda Lee's Kerala ganawanam down pament keyda? how set clock in alto 800 car meter board.please help me..
What is the price of new 800CC now in srilanka? Which model is best? And how much is it now?